However, there are a couple major anomalies: Miami, Florida and Las Vegas, Nevada; which we’ll explore in detail in today's article. Florida Housing Market Is Booming! Where Does The Nation Stand Then Exactly? In general, house flipping is somewhere in a mid-range of popularity at the moment. While some local markets are nearing 70% or even 80% of their ~2005 - 2006 peaks, across the country flipping averages somewhere in the middle. 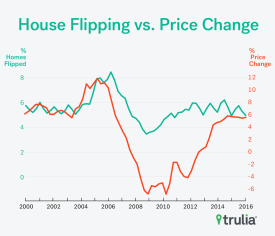 Nation wide, flipping has remained fairly steady over the past year at around 5% of all home sales, and is down from the peak of 8.6% in 2006's first quarter. Many economists consider flipping as a potential indicator of a bubble in the housing markets. House flipping has been on a steady increase, mirroring the increase in housing prices around the nation. "The good news: that flip rate is roughly in line with the non-housing bubble years and well below the 8.6% flip rate of all home sales in 2006. The concern: there are some hot spots.The good news: that flip rate is roughly in line with the non-housing bubble years and well below the 8.6% flip rate of all home sales in 2006. The concern: there are some hot spots. While stable nationally, we’re having déjà vu: flipping is making a comeback in places such as Las Vegas and Miami, which saw high levels of flipping activity during the previous boom." In the third quarter of 2015, flipping activity was stable year-over-year at around 5% of all home sales. This is down from the peak of 8.6% of all home sales in the first quarter of 2006, however, it's up from a low of if the third quarter of 2008. Why has flipping peaked and troughed over the years, you ask? Extreme price fluctuation of homes due to the Great Recession. Selling home properties for a gain over a short period of time usually demands humble price growth at minimum. Although flippers can add value by improving the quality of a home, climbing prices can provide a safety net when taking on a project. When prices are mounting faster, investors have a better chance to come out on top even if the project strays from the plan. Within the past year, price gains have stayed relatively stable, and so have flips. This is in stark contrast to rising year-over prices from 2003-2006, when fix and flips rose dramatically from 5% to nearly 9% of all home sales. Although flipping has stayed relatively stable nation wide, flipping activity changes notably across individual markets. Las Vegas, NV leads the pack with 10.4% flips, followed by Fresno, CA. with 7.6% and Daytona Beach, FL., with 7.3%. Detroit, MI and Louisville, KY have the lowest percentage of flips at less than 2.5%. Additionally, there are three of the top flipping markets that are within at least 70% of their 15-year peak. Take Las Vegas for example, it is now 79% of its peak flipping point of 13%, which occurred way back in the second quarter of 2005. Baltimore, MD is at 75% of it’s peak flipping point of 9% of home sales in the fourth quarter of 2006, and Richmond, VA is at 70% of peak flipping, which occurred in the second quarter of 2006. So how has flipping altered the metropolitan level over the past year? In correlation with the national numbers, those markets with the highest flipping activity normally had greater price appreciation than markets with the lowest. To be specific, flipping is skyrocketing in Florida markets. Of the 10 markets with the largest increase in flips over the past year, 6 of those are in the Sunshine State. Miami leads the entire nation, increasing 1.7%. Other notable flipping goldmines in Florida include Daytona Beach, Jacksonville, Orlando, Tampa, and Cape Coral, which have all seen their share of increases in flipping activity between 0.8 to 1.4%. While Florida cities have increased the most, those with the dreaded bubble-phobia, shall fear not: none are close to their 2000-2015 peak. Let's take Miami.. it's at less than one third of its peak flipping point of 20.5%, Daytona Beach is just over half, and Orlando, Tampa, Jacksonville, and Cape Coral are just over one third. Of the non-Florida metropolitan areas making the list, only Las Vegas and Birmingham are within about 80% of their 2000-2015 peak. So in conclusion, the American housing market isn’t going wild just yet, but there are indications that some areas are approaching their previous flipping points. 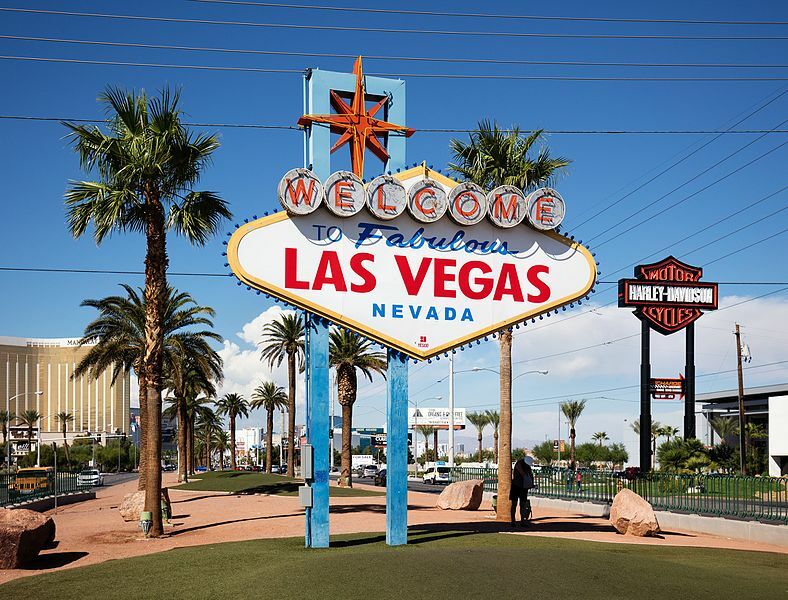 While this isn’t as important in places where flipping activity is low in comparison to the national average, such as Birmingham, there are indeed signs that markets such as Las Vegas may soon reach historically high levels of flipping in the near future.